HAPPY 5TH BIRTHDAY TO KIARAMICHELLE.COM!!! Oh and I just hit my goal in 2018, of hitting 10k on my Instagram!!! Oh and P.S. there’s a giveaway on my Instagram as a way to celebrate with you all and say thank you! Tbh, I didn’t expect anything out of it. I didn’t know getting “free” stuff was a thing, or I didn’t even know bloggers were making a living off of this! Imagine, Instagram literally just launched and Pinterest wasn’t even relevant. But Youtube 5 years ago….was where a lot of the big youtubers started their amazing career! But anyways, long story short…. I honestly just wanted to talk to my friends and family through my own website. I thought to myself, “Okay my friends keep asking what makeup products to use for this…..this would be cool to share on my own website.” I even remember my first ever blog post….it was a review on Benefit’s Hoola Bronzer and Rockateur Blush….the OG’s in the makeup game. My pictures were from my small little camera….editing from this basic picture software……nothing fancy. Just pure fun and realness! I think it all started when I was in high school back in 2009-2012. I would always prefer taking art classes over any other academics. I took digital media courses where we would practice photoshop and creating our own website using html coding (not fun at all). I then joined the yearbook club which required me to take photos of sport events for the yearbook. I just always tried to keep my creative juices flowing throughout high school. A year later, I had no idea what I wanted to do career wise and boom, “let’s start a website and see what I can do”. 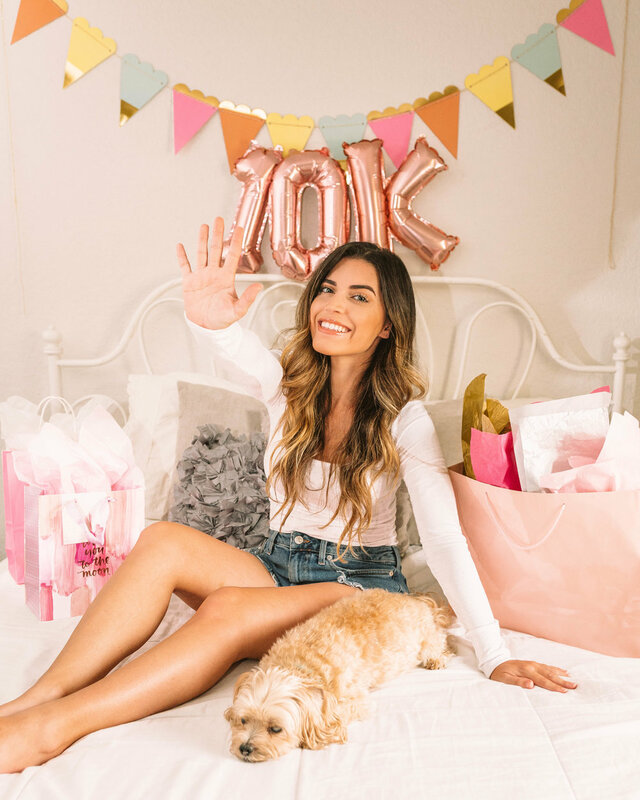 So, you’re probably thinking….okay what’s the big deal of hitting 10k on Instagram. Well unfortunately, in the past 5 years A LOT has changed in the online world. Nowadays, less and less people like to read blogs and now your target audience is on Instagram. I never want to leave behind my blog, because it’s MINE. 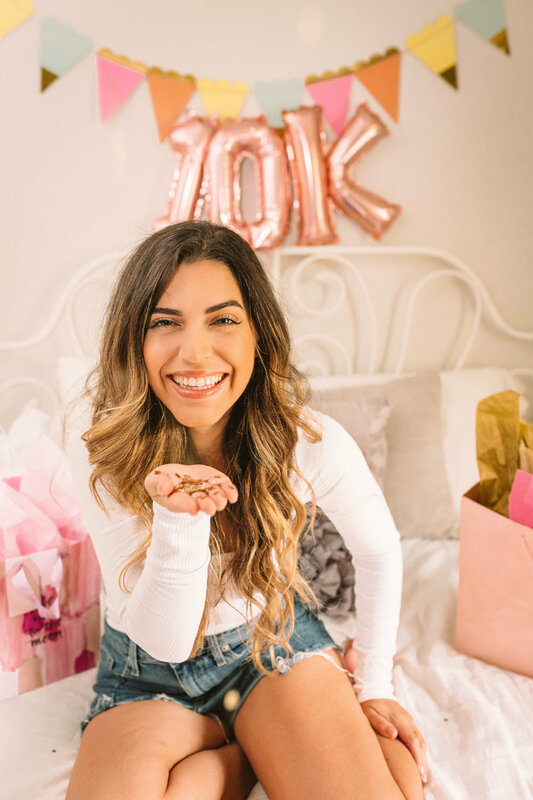 But Instagram is where I put most of work into, so there’s a thing in the blogging community where 10k is like the first milestone on Instagram. Now I always preach, that numbers don’t mean a thing and it’s more about quality engagement over thousands of followers BUT it’s been a business goal of mine for quite some time now. It’s a reflection of my hard work, it shows me that people are enjoying my content AND it’s the beginning of many things to come. I have a video on tips about starting a blog and what not. But if you’re reading this and you’re interested in diving into this social media world, here are my honest advices! Whatever you do, do it with a purpose. - I started with just doing it for fun and express myself, but I always wanted to give purpose in my content which came over time. But now this is more of a common thing to do, start with a purpose! DON’T COMPARE and guys……trust me when I say even the most perfect model on IG doesn’t have the perfect life that she portrays. In the digital world, there’s people that cover their real lives with filters and perfect edited photos BUT do not get discouraged. Create unique content! If you’re an expert in photography, writing, styling, drawing, WHATEVER it may be, be unique and stand out from the rest. Honestly, the way I try to is by getting inspiration from magazines, pinterest, basically- I don’t get my inspiration from Instagram or other blog sites. Because it then can be repetitive or looks like I’m trying to replicate a photo that’s already out there. Go out and get inspired using different environments or materials to get you started. QUALITY OVER QUANTITY now this advice may sound contradicting since I’m celebrating a number, but honestly you guys don’t lose focus on your goal and purpose. Everyone’s success is measured in their own way and don’t let numbers consume you. I use to be so insecure about my content and thinking if I was ever going to be “good” enough but GIRLLLLLLL let me tell you, GOD MADE YOU AND CREATED YOU IN HIS VISION WITH A PURPOSE and oh HE loves you and thinks you’re good enough for His love. So don’t get caught up! Because trust me, it’s easy to lose sight of what’s really important. A photoshoot session of your choice! (Only valid to those living in Central FL, excludes wedding and engagement sessions). Goodluck to those who enter!! winners will be messaged and announced a week from today, 11/14 at 3PM EST.